Kathleen received her B.S. Degree in Accounting from Miami University in Oxford, Ohio. She is registered to practice as a Certified Public Accountant in the State of Illinois. She has practiced as a CPA since 1984. Prior to joining David J. Miller & Associates, LLP in 1991, she was affiliated with two local certified public accounting firms. Her areas of concentration include accounting, auditing, tax, QuickBooks and consulting. 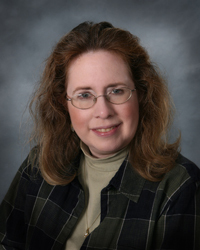 Kathleen is a member of the American Institute of Certified Public Accountants and the Illinois CPA Society. Kathleen was born in Cincinnati, Ohio. She is married to Paul and they reside in Mount Prospect, Illinois with their son Eric. Her leisure time includes gardening, quilting and attending Paul’s and Eric’s musical performances.